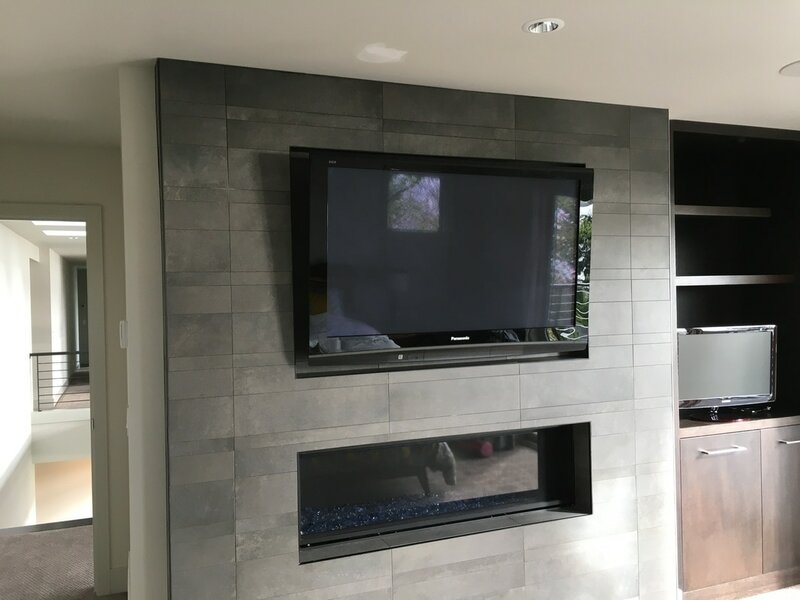 Mounting your flat screen TV (or TV's) to the perfect wall(s) in your home is about as common a task these days as finding the perfect place for your toaster. Of course, your TV is much more of an investment than your toaster, and mounting it to the wall is obviously much more involved! So when you are thinking of mounting your TV there several things to consider. First of all, what wall is the perfect wall? Many people let the layout of the room and the furniture dictate which wall will work best. And some people organize the room around the TV depending on the function of the room of course. No matter what your situation, before you call us to mount your TV, there are some important things to consider that could save you money and hassle in the future. 1. Is there an electrical outlet near the location you would like your TV? If not, no problem, but it will cost extra to have an outlet installed near the TV's location. 2. Do you have the right HDMI, Optical, Cable TV or other component cables to reach from your Home Audio Pre-amp, your DVD, Blu-Ray or Media Server, or your Wireless Router for Internet enabled Smart TVs. You will most likely want all cables concealed and to be of a length that will go through your wall and out to your entertainment center or components. Good quality shielded cables are required as they will be running through your walls and you don't want to have to replace them. 3. Have you considered the sound of your TV? You will most likely want a decent Sound Bar and Sub Woofer to compliment your Hi-Def screen. The sound bar will also require AC, an optical connection to your TV and room to be mounted on the wall as well. 4. Consider the choice of mounts. 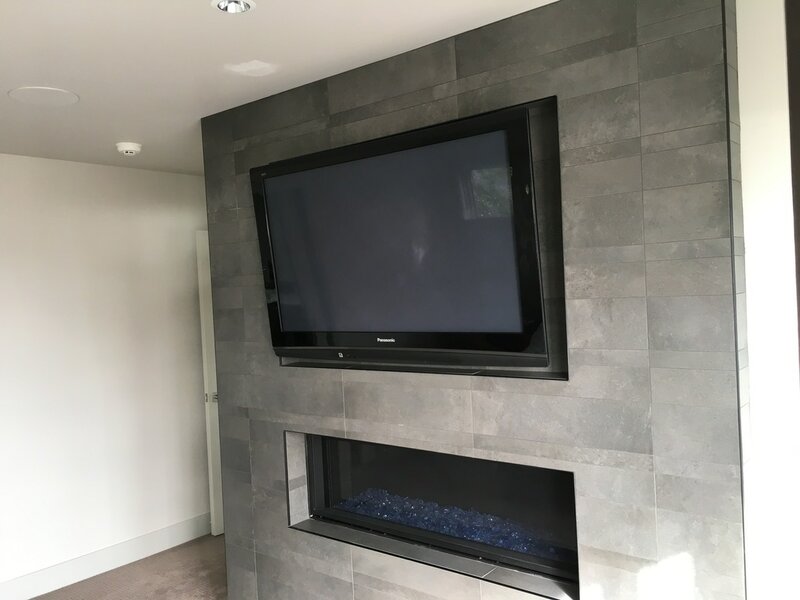 We will recommend and provide mounts that we will guarantee with your TV mounting. There are basically 3 types of mounts; Fixed, Flat mounts which are good for TV's mounted near the level of your couch. Tilting mounts which are recommended if you need to adjust for your bedroom or living room seating. And then Articulating mounts which will give you the most flexibility to adjust your TV to optimal viewing positions. 5. We get many request from folks who would like to mount their TV above the fireplace. That could include thick brick mantles to regular drywall, but there is always an extra challenge to this. So expect a little more work to mount in this area. We normally do in house estimates, but if you can send us photos of the are that always helps give us an idea of what to prepare for.